Hi dollies! As part of The Rainbow Series, I'm back with my next colour today: orange! Continuing to step outside my fashion comfort zone. Last friday, Stardoll released a new collection of LE! Within the collection there were many different styles, from florals, metallics and floaty silhouettes. For this blog post, I have styled some of my picks! 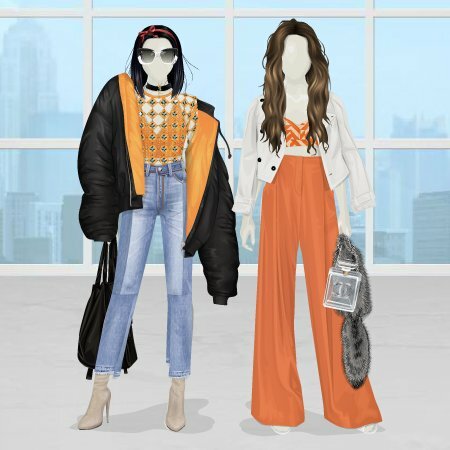 My Stardoll style picks, modelled by real dolls. Make your own Angel outfit! If you're thinking that a great outfit has to cost lots, think again. Ever found yourself asking: How do other dolls have such amazing outfits? Tired of constantly repeating the same outfit? Get inspired! Light colors are great for warm days!